63 Commercial Real Estate and Properties in Hunter Valley are listed in 9 categories. We have 130 Industrial Warehouses for Sale & Lease , 92 Retail Shops for Sale & Lease , 87 Offices for Sale & Lease , 38 Development Lands for Sale & Lease , 22 Showrooms for Sale & Lease and 13 Medical and Consulting Properties for Sale & Lease . Positioned in the tightly held commercial zone of Metford, this 598m2 building would suit a variety of businesses from light fabrication to storage and distribution and more. (STCA) This warehouse is ideally located within close proximity to the recently developed Stockland Greenhills and soon to be constructed Maitland Hospital. Consisting of three offices, a meeting room and a large reception area, all adjoining the warehouse and mezzanine, this opportunity won't last long. • 3 phase power • Surrounded by reputable businesses • High roller door access • Amenities • Zoned IN1 General Industrial • Onsite parking available Contact our team to find out more today! 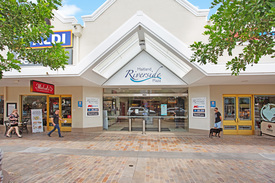 Prominent Shopping Precinct Location $595/Week Plus GST & .. 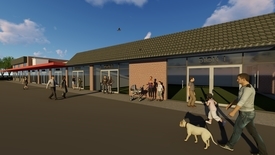 Located on the edge the Salamander shopping precinct these premises are ideal for retail, bulky goods or professional services. With 154m2 on the ground floor, mezzanine storage and exposure towards both the shopping centre and Bagnall Beach Road this has all the hallmarks of a successful new home for your business. 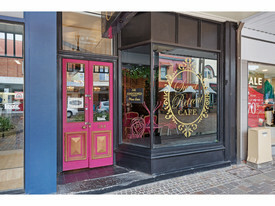 A great opportunity to secure a prime, freehold property in the heart of Maitland's retail precinct. 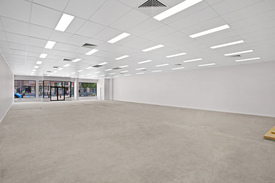 • Exceptional 14 metre shop front • Located in “The Levee” • Leased to Lowes Manhattan Pty Ltd • Currently returning $62,371 pa gross • Opportunity to refurbish and add value • Lowes Est. for 120 yrs with over 200 stores across Australia • Building area: 200m2 showroom, 120m2 1st floor storage • Zoned B4 Mixed Use For Sale by Expressions of Interest, closing 8 March 2019. Information Memorandum available on request. Located in Maitland’s Riverside Plaza, this property is available now and provides endless opportunity for any business looking for an optimal location. Take advantage of the high foot traffic from surrounding multinational tenants such as Kmart and Aldi. Property Features • 55m2 shop area • Glass window frontage • Air conditioning • Flexible lease terms • Outgoings included in rent • Central location in major retail centre To arrange an inspection contact the agents directly. Positioned at the entry to Maitland’s shopping and lifestyle prescient “The Levee”, this property is ideal for Retailers, Office Space and or Hospitality offerings. Fi tout options available. Property Features • 344m2 open plan floor area • Flexible rent terms • Complete refurbishment • Large window displays • Full amenities • Ducted air conditioning • Massive advertising advantages This property won’t last long to arrange an inspection contact the agent directly. 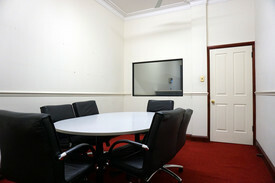 Substantial Cbd Office Space $65,000 + Outgoings + GST.. This versatile, first floor office space is located on the prominent corner of Church Street, within the heart of the Maitland CBD. Whilst the space has been fitted out, it can be reconfigured or modified to suit. Positioned within walking distance to public transport, adjoining public car park and all that the CBD has to offer. • 297m2 • Reception area • Board room • Meeting rooms • Multiple office suites • Open plan work station area • Kitchen and lunch room • Internal male and female amenities Contact our team today to find out more! 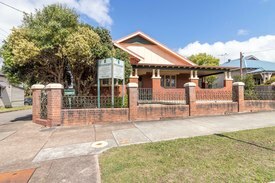 354 High Street Maitland has a total floor area of 124m2, the the current layout comprises a main reception area, two large offices, training room and a meeting room. 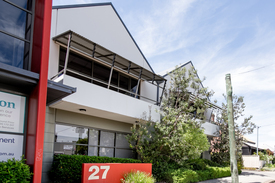 The property lends itself to a professional office space with its quality fit out and ideal location in the middle of the recently refurbished 'Levee' precinct. The space could easily suit a large array of business types with next to no set up and added bonus of the prominent position. • Male/female toilet facilities • Large Kitchen • Ducted Air conditioner • Quality fitout • Freshly Painted . .
Modern Commercial Premises - Highway Exposure $55,000 per annum + Outgo.. Soon to be completed is East Maitland’s newest medical or office complex spread over two levels and occupying approximately 690m2. It is perfectly located only moments from both East Maitland Private and the new Maitland Hospital. 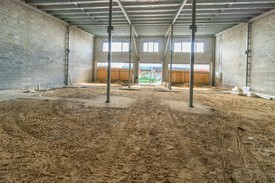 The building is currently under construction and with completion expected in early 2019. • Occupy or invest • Potential income circa $200,000 net pa • Available with or without fit out • Located within the East Maitland Commercial Centre • 15 car spaces • Flexible floor plans • Suites range from 155m2 268m2 • 15 exclusive car parks • Significant corner location • Plenty of natural light • Close to public transport Approximate Subject to council approval To obtain further information, please contact the below agents; . 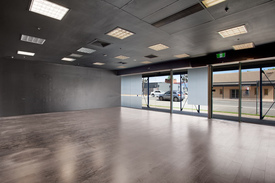 Flexible Commercial Space In Downtown Location $14,000 per annum + Outgo..
A modern purpose built centre with high end finishes and inclusions throughout. 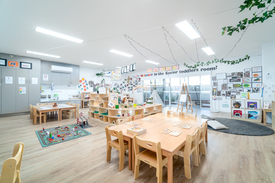 The childcare centre is licensed for 103 places and consists of around 846 m² (GFA) of learning space over 6 spacious rooms. The centre sits on a large site of 3021m² providing ample outdoor playing areas for children and staff. The property is situated opposite the Singleton Civic Centre, Council Offices and in close proximity to various schools and retail facilities. • Returning $286,340pa net • 15 year lease from 2017 with options to 2042 • 3% annual increases • 100% of outgoings recoverable • New purpose built facility • Potential for significant tax depreciation Information memorandum available on request. . .
FOR SALE Expressions of Interest • Four office suites • 29 onsite car parks • Excellent income generator Starr Partners & Knight Frank are pleased to present this modern office complex with strong returns, deserving inclusion in any property portfolio. • Site area 1,974sqm approx. • Total lettable area 1,319sqm approx. • 29 onsite car parks • Lift & disable amenities • Four independent commercial suites • Estimated fully leased income $323,233 p.a.(approx). • 5 Star NABERS rating Current annual net rent of $258,233 with staggered lease expiry out to October 2021. 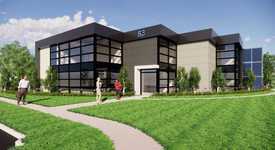 Estimated annual net income as fully leased $323,233 (approximately). Excellent income generating investment with motivated Vendor. All genuine offers should be submitted via Expressions of Interest closing 7 February 2019 at 4pm. 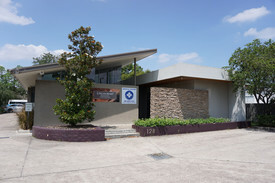 Unit 2 comprises three separate offices surrounded by a main reception area. 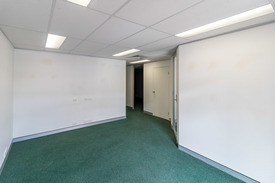 The premises has just been newly refurbished with new flooring, paint and air conditioner installed With its prime location just off Allandale Road and only a short walk to Cessnock’s CBD, Unit 2 is perfect for any growing business wishing to take its first step in securing a commercial premises. Key Features: • Toilet facilities • Kitchenette • Air conditioning • Off street parking • After hours access • Individual offices are available for rent. Available now is one of Maitland's premier retail spaces. Take advantage of the passing traffic and pedestrian presence within 'The Levee'.. 395 High Street offers endless opportunity and a variety of uses. 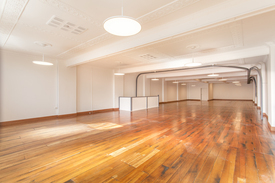 Large versatile ground floor space and a refurbished first floor. 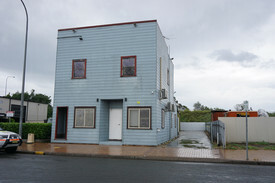 Ground and first floor can be leased as a whole or are available separately. Ground Floor: • B4 Zoning • 353m2 • 8m window frontage • Open plan retail area • Plenty of storage • Full amenities • Air conditioned • Rear lane access with loading area First Floor: • Open plan area • Polished boards • Full amenities • Plenty of natural light • High ornate ceilings • High Street entrance • 273m2 • Ideal for numerous uses subject to council approval approximate . .
East Maitland’s newest medical or office complex. Perfectly positioned on George Street East Maitland this complex is moments from the new hospital site and the private hospital. Property Features: • Flexible floor plans • 690m2 internal space • Ability to lease the entire site or the individual spaces • Suites range from 155m2 268m2 • 15 exclusive car parks • Significant corner location • Plenty of natural light • Close to public transport With construction starting soon, now is the time to join other leading healthcare or corporate specialists in the East Maitland area. . . 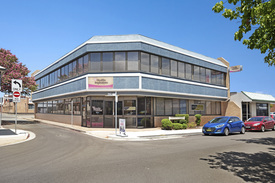 Located on the corner of Balook and Weakleys Drive is an opportunity to occupy an office space with major exposure and advertising benefits. Property Features • 200m2 office space • 2 executive offices • Open plan workstations • Modern reception area • Partial fit out included • Plenty of natural light • Kitchenette and amenities • 5 allocated parking spaces • Major Signage opportunity This space won’t last long, contact the agent directly to arrange an inspection.